My name is Mike VanderWoude, and I would like to personally extend an invitation to you to browse our website in search of answers to any questions you might have. I consider it my job to be a real estate consultant, providing you with the best possible advice that you would need to reach your own real estate goals. In real estate, I have two primary goals. One is to shape this site, GrandRapidsHomesforSale.com into the finest real estate resource available to consumers in West Michigan. I won't have the pleasure of meeting every person who comes to this website. For those people, I hope you return time and time again to find more valuable information and share it with your friends and family. If you find this site useful, please tell others and feel free to share it through whatever means necessary. For the people I do have the privilege to meet, my goal is to leave you with an industry-best experience in pursuing your real estate goals. For many clients, buying or selling a home will be the single largest investment of their lives, and I take that very seriously. It starts here. Help me help you make this website a valuable resource to yourself and others. Even if you think they've already started to freeze. New homeowners may have heard that winterization is important, but in the hubbub of your first year living in a home you own (finally! ), it can be easy to overlook the need to prepare for the cold weather ahead. After all, it's just not something renters deal with; prepping pipes for winter is often the landlord's job. 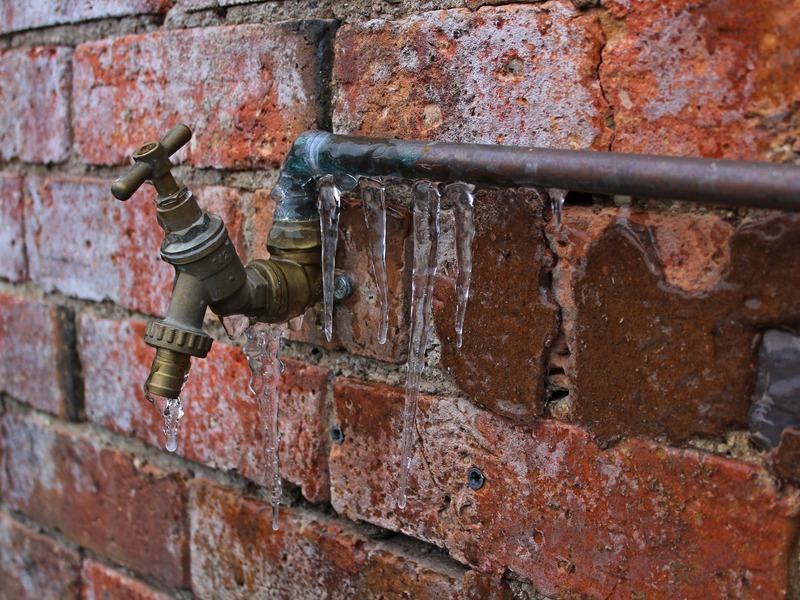 If the temperatures have dropped into freezing and intend to stay there, turning on your faucets -- both indoors and out -- can keep water moving through your system and slow down the freezing process. There's no need to waste gallons of water: Aim for about five drips per minute. During cold weather, open any cabinet doors covering plumbing in the kitchen and bathroom. This allows the home's warm air to better circulate, which can help prevent the exposed piping from freezing. While this won't help much with pipes hidden in walls, ceilings, or under the home, it can keep water moving and limit the dangerous effects of freezing weather. If your pipes are already on their merry way towards freezing, wrapping them with warm towels might do the trick. You can cover them with the towels first and then pour boiling water on top, or use already-wet towels -- if your hands can stand the heat (use gloves for this). This should help loosen the ice inside and get your system running again. A hairdryer (or heat gun) can be a godsend when your pipes are freezing. If hot rags aren't doing the trick, try blowing hot air directly on the pipes. Important note: You don't want to use a blow torch or anything that produces direct flames, which can damage your pipes and turn a frozen pipe into an even worse disaster. You're trying to melt the ice -- not your pipes. Make sure to close off any external water sources, like garden hose hookups. This will prevent more water from filling the system, adding more ice to the pile, and eventually bursting your pipes -- the worst-case scenario. This also will help when the water thaws; the last thing you want after finally fixing your frozen pipes is for water to flood the system -- and thus, your home. Visit houselogic.com for more articles like this. Reprinted from HouseLogic with permission of the NATIONAL ASSOCIATION OF REALTORS®Copyright 2019. All rights reserved. Getting smart -- about what to do, ask, and avoid -- can move you ahead of the crowd. Ah, the open house -- a chance to wander through other people's homes and imagine yourself knocking out walls and gut rehabbing their kitchens. This is what dreams are made of (or at least episodes of HGTV). In all seriousness, going to open houses (and scheduled private showings) is one of the most exciting parts of the home-buying experience. Beyond the voyeuristic thrill, visiting houses allows you to assess things that you just can't see online. Anyone who has taken a super-posed selfie knows that a picture doesn't always tell the whole truth. Professional listing photos can make small rooms look spacious, make dim rooms bright, and mask other flaws of a home -- but you don't know any of that until you actually see the house yourself. You can tour houses at any point, but it can be helpful to first discuss your needs and wants with your partner (if you have one), do some online research, and talk with your agent and your lender. That way, you -- and your agent -- can take a targeted approach, which saves you time and can give you an edge over your buying competition. Make It Your Job to Know Which Houses Are "Open"
•Use listing websites. A number of property sites let you search active listings for upcoming open houses. On realtor.com?, for instance, when searching for properties, scroll over the "Buy" tab and click the "Open Houses" link to see upcoming ones in your area. •Drive around. Cruise through the neighborhoods you're interested in -- it's a good way to get a sense of the area amenities -- and look for open house signs. And while you're searching, be sure to jot down the location, time, and date for any open house that strikes your fancy. It will make it that much easier to plan times and routes for hitting as many homes as possible. If you're seriously interested in a home, show up to the open house early. That way you'll beat the rush, and the agent showing the house (AKA the host) will have time to focus on you and your questions. And don't be shy! Many home buyers hop from one open house to the next without talking to the listing agent. But chatting up the host can help you learn information that you wouldn't get by only touring the premises. If a house seems like a match, take a walk around the neighborhood. 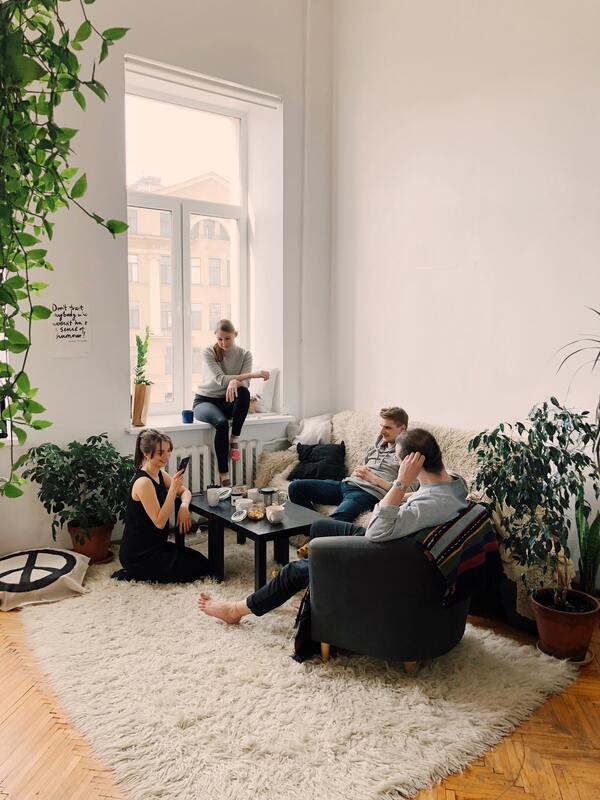 Strike up conversations with the neighbors to get an insider's perspective on what life in that community is really like -- families, singles, what the vibe on the block is like, and whether the homeowner's or condo association (if there is one) is easy to work with. To make the most of your open house visits, have a list of questions in mind for the host -- and take notes while you're there, so you can keep track of what you learned. Be careful about what information you share with the agent hosting the event. This person works for the seller -- not you. The host can and will use stats they've gleaned about you to counter, reject, or accept an offer. Have you received any offers? If there are already bids on the table, you'll have to move quickly if you want to make an offer. Keep in mind: Listing agents can't disclose the amount of any other offers, though -- only whether they exist. When does the seller want to move? Find out the seller's timeline. If the seller is in a hurry (say, for a new job), they may be willing to accept an offer that's below list price. When is the seller looking to close? Price isn't the only factor for many home sellers. One way to strengthen your offer is to propose a settlement date that's ideal for them. For example, a 30- to 45-day closing is standard in many markets, but the seller may want more time if they haven't purchased their next home yet. Is the seller flexible on price? Most listing agents won't tip their hand when you ask this question, but there's always a chance the agent says "yes." And, in some instances, the seller has authorized their agent to tell interested buyers that the price is negotiable. In any case, you might as well ask. (It's kind of like googling for a coupon code when you buy something online.) How many days has the home been on the market? You can find this information on the internet, but the seller's agent can give you context, especially if the house has been sitting on the market for a while. Maybe the home was under contract but the buyer's financing fell through, or the seller overshot the listing price and had to make a price reduction? Knowing the backstory can only help you. Has the price changed? You can see if there's been a price reduction online, but talking to the listing agent is the only way to find out why the seller dropped the price. Are there any issues? 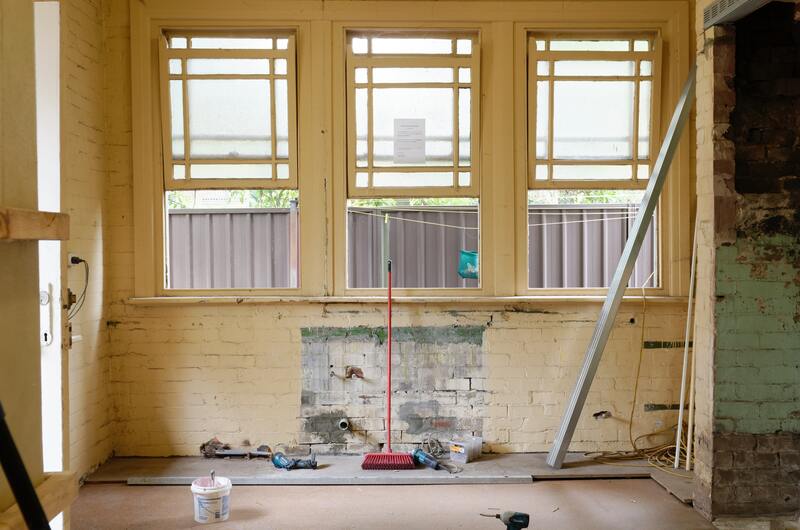 Have there been any renovations or recent repairs made to the home? Some upgrades, like new kitchen appliances, are easy to spot, but some are harder to identify. Specifically ask about the roof, appliances, and HVAC system because they can be expensive to repair or replace. BTW, repairs like a leaky faucet, aren't things that need to be disclosed. What are the average utility costs? Many buyers don't factor utility bills into their monthly housing expenses, and these costs can add up -- particularly in drafty older homes. Ask the listing agent what a typical monthly utility bill is during the summer and during the winter, since heating and cooling costs can fluctuate seasonally. Be prepared for higher utility bills if you're moving from an apartment to a single-family home. Now that you've got your answers, there's one last thing to do: Thank the host before you go. You never know -- you could be seeing them again at the negotiating table soon. Countdown to a perfectly clean guest-ready home no matter how much -- or little -- time you have. It feels great to have a clean, organized, well-functioning home when you've got guests coming. Especially around the holidays. It's like your gift to you. Think big picture. Get anything that requires a pro or installation out of the way now. No one wants calamity to strike when guests are pulling into the driveway. •Get your HVAC maintained if it's overdue. •If you have a self-cleaning oven, clean it now. An oven is most likely to break down during the cleaning cycle, so don't save this task for last. •Replace any appliance on its last legs. You don't want your hot water to go out or fridge on the fritz with a houseful of guests. •Hire a handyman for those repairs you've been putting off. •Check outdoor lighting. Replace old bulbs and call an electrician to address any bigger issues. It's not panic time yet. Focus on decluttering and a few deep-cleaning tasks now, and you'll have a more manageable to-do list when the clock really starts ticking down. •Do a deep declutter. It'll make things easier to keep clean. •Dust ceiling fans, light fixtures, and high-up shelves. •Clean out and organize the fridge. •Wash windows to make the entire house feel brighter and cleaner. •Toss washable shower curtains and drapes in the washing machine and re-hang. Easy. It's strategic cleaning time. Here's what to tackle now -- things your family won't easily undo before your guests arrive. •Vacuum and dust guest rooms. If they're low-traffic, the cleanliness should hold with just a quick wipe-down right before they arrive. •Wipe down kitchen and dining room chairs and tables, including the legs. You'd be surprised how grimy they get. •Deep clean the entryway -- and make room for your guests' stuff. The final cleaning stretch is on the horizon. •In the kitchen, toss stove burners, drip pans, and knobs into the dishwasher for an easy deep clean. •Clean and sanitize garbage cans to banish mystery smells. •Wipe down doorknobs, faceplates, and light switches. They're germ magnets. •Deep clean the bathroom your guests will use, and close it off if possible. •Wash guest towels and linens. Your guests' bags are packed. Time for final touches. •Do a final declutter - by now it shouldn't take more than five minutes. •Give one final wipe-down to toilets, tubs, and bathroom sinks. •And another final wipe-down in the kitchen. •Do all the floors: mop, vacuum, sweep, etc. •Make guest beds and set out clean towels. •Plug in nightlights in guest baths. •Put out guest toiletries so they're easy to find. •Add a coffee or tea station in the guest room or kitchen. •Get your favorite smell going, whether it's a scented candle, spices in water on the stove, or essential oils. •Use rubber gloves to wipe off pet hair and dust from furniture. It works. •Do the full red carpet: Sweep or shovel porch, steps, and outdoor walkways. Here's what you can do to get your home ready for its big reveal. Your job is to make your house look like a million bucks -- or more like $300,000, depending on your price range. A home owner's presence can make it awkward for the buyer. Buyers want to make assessments on their own, without worrying about how the seller might react or try to influence them. Buyers may have trouble picturing themselves living in the house when the owner is right there, say, serving lemonade in the kitchen. Sometimes sellers say too much. You might point out something that you think is a nice feature or amenity of your home, when it's something that might turn off a buyer. (That busy arcade bar down the block may have been your favorite place to meet friends and play Pac-Man during weekends, but it could be a deal breaker for a buyer looking for a peaceful block.) You might blurt out something that could tip your negotiating hand, like how motivated you are to sell (soon! ), or that you always wanted to update the retro kitchen -- but just never got around to it. The last things you want buyers to think after the open house is, "This place needs work," or "This seller is desperate -- I have the upper hand." So, let your agent take the lead. This won't be their first rodeo. They know the nuanced ways to show your home in its best light so that buyers will oooh and ahhh. They also know how to strategically answer questions from buyers to help set you up for success later, during negotiation. Your agent can also stage a broker's open house on your behalf. Unlike standard open houses -- where buyers can stop by -- at broker's open houses, only real estate agents and other industry professionals are invited to attend. 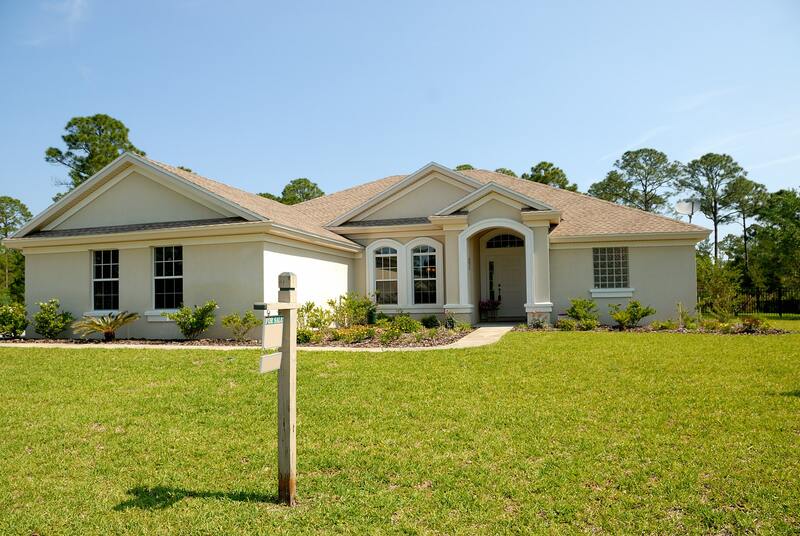 Generally, a broker's open is held within the first few days of a house being put on the market. Complimentary lunch is often served as an incentive to get more people to show up. It gives your listing more exposure. It allows you to get feedback from real estate agents on your home. If your house "shows well," as they say in the industry, the agents who toured your home may recommend it to one (or more) of their buyer clients. 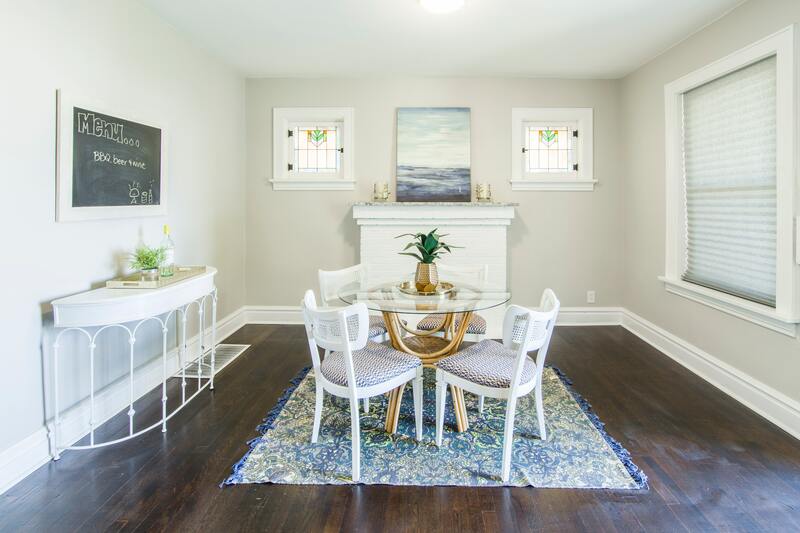 If your home doesn't get rave reviews, your agent will relay that feedback to you, and may suggest improvements before the next open house, such as staging certain rooms. You want your home to look its best while it's on the market -- especially during the open house. Many agents say the best way to primp your home for its big day is to stage it. When your home is on the market, you need to keep it in showing shape -- not only for the open house, but also for any scheduled showings with buyers. Even though you've already (hopefully) cleaned and organized your home for its listing photos, there's a good chance you've let clutter or dust pile up again, especially if you have children or pets. Don't have the bandwidth to do a deep clean? 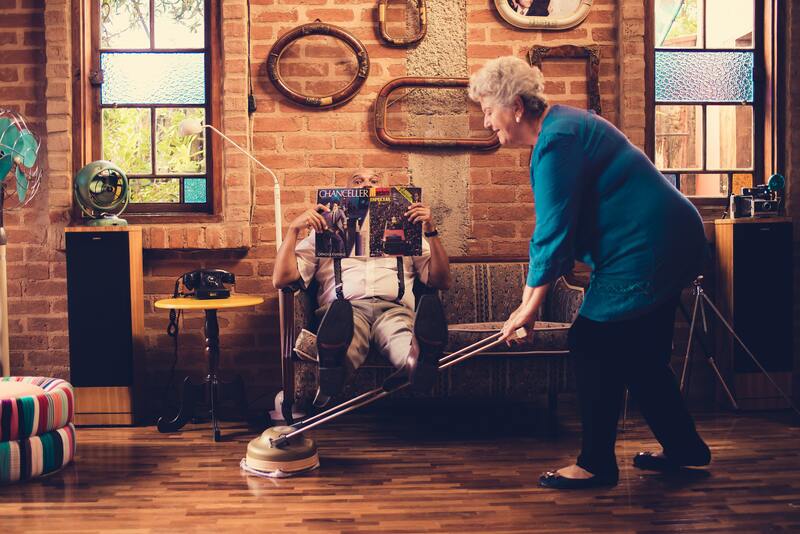 Hire a house cleaning service to do the work for you. A professional cleaning service costs around $115 to $230 on average. If you're not sure about which service to hire, ask your agent to recommend cleaners. •If your house has the aroma of your beloved pet(s), deep clean the carpets, relocate the litter box, and take steps to eliminate all olfactory traces of Fluffy. •If the basement is dank and musty, buy a dehumidifier to remove air moisture and run a fan to circulate the air. •If the kitchen drain stinks, drop in a cup of baking soda, then two cups of white vinegar. Enjoy the bubbling, then let the mixture sit for 20 to 30 minutes. Finally run hot water for 15 to 30 seconds to flush the odor. You want your home to feel cozy and inviting, but not like someone specific (you, for example) is living there. Personal belongings such as family photos, awards, and religious art can distract home buyers and make it harder for them to imagine themselves living in your home. You don't have to go overboard -- the idea isn't to eliminate every trace of yourself -- but consider temporarily hiding some pictures and personal effects out of sight during the open house. There's a safety element to stowing your personal belongings, too: Though your agent will be at the open house, you're inviting strangers into your home. •Securely store checkbooks, jewelry, prescription medications, family heirlooms, and other valuables. •Alert your neighbors to your open house date -- as a courtesy, but also to ask that they let you know if they notice any suspicious activity, in the unlikely event suspicious activity occurs. •Lock windows and doors after the open house. We're not suggesting that visitors have any intention other than potentially buying your home. 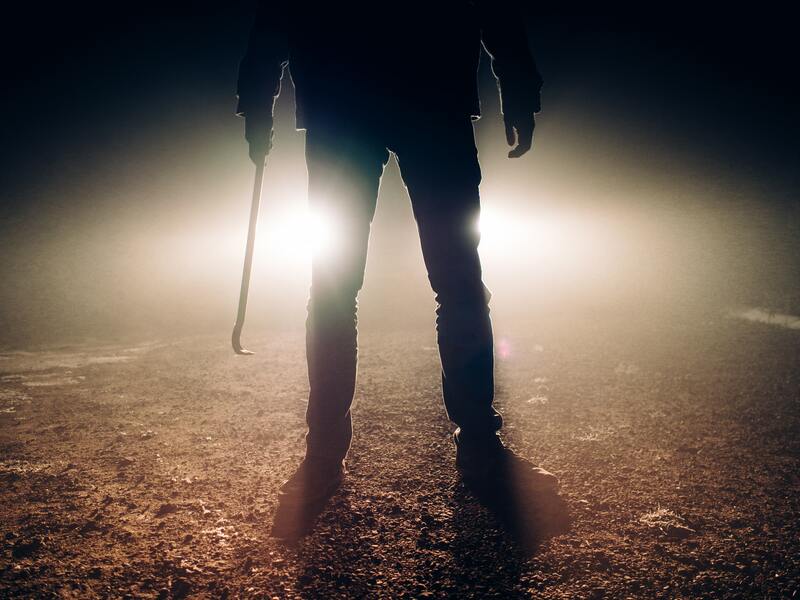 It's just a good idea, generally speaking, to keep your home secure. Replace every single burnt-out light bulb in and outside the home -- buyers should see a working light every time they flip a switch. Buyers will judge your house on its outsides. So make last-minute improvements to turn up your home's start_tip 102 curb appeal end_tip . Cut the grass, prune the trees, and trim the shrubs. Touch up porch fixtures and furniture with a little paint. Heck, paint the whole porch, if your budget allows. Plant new shrubs or set out potted flowers. Small, relatively low-budget outdoor enhancements will make your home look all the more enticing to buyers -- and can add some last-minute value to its price. After your agent signs in and welcomes buyers to your home, they typically will have some time to wander around on their own. Even though you won't be there, you can still draw visitors' attention to features in your home that you'd like to highlight. Serving warm cookies or freshly baked brownies at an open house is one of the oldest tricks in the book. That's because it works: Buyers love being greeted with a sweet treat and a cold or warm beverage depending on the time of year. Refreshments also give people a reason to stay longer: No one will rush off because they're hungry or thirsty. Once you've done everything you can to make your house look and feel amazing to buyers -- and your agent is on site to assume their hosting duties -- the time during your open house is yours to enjoy. Go to the park, get a three-course lunch, do whatever you like as long as you're free to take calls. The important thing is to stay open to buyers' feedback, and to follow your agent's advice about how to respond. Based on buyers' reactions, your agent may recommend that you make certain repairs, do some painting, or invest in additional staging before your next open house. Whatever they advise, it's not personal -- it's just the business of selling your home. Used a VA loan, which has more restrictions than a conventional one. Mark and Jena Boomhower's 1,400-square-foot starter home was just right when their daughters, Tanahleigh and Adalyn, were tots. But as the girls got older, Mark and Jena realized they needed a bigger house and yard. They wanted a two-story farther from the city, but there were a few challenges. First, they had to figure out how to buy a house before selling their current house. Second challenge: Buying a house with a VA loan. VA loans offer competitive interest rates and don't always require a down payment or private mortgage insurance. But VA loans limit what buyers are allowed to pay in closing costs, and sellers don't necessarily have to pay them, either. Closing costs become a big part of the negotiation. Here's their story. Mark: When Tanahleigh started having her friends over. If they all wanted to watch TV in the living room, we had to go to another room. I would go hang out in the garage. Jena would hang out in the kitchen. We were like, "OK, we're stepping on each other in this little house." So what's the first thing you did to escape your exile in the garage? Mark: I called our agent and told him our plan: that we wanted to buy a new house but not until we sold our current house. And that we wouldn't sell our current house until we had one to move into because we didn't want to spend weeks or months in a hotel with two kids and a dog. And we wanted to buy with a VA loan. Our agent said that our stipulations were tough but that it could be done. You faced a seller's market. Houses were going fast. What did you do first: shop for a new house or list your old one? Mark: We started looking at houses. We looked at three or four. The last one we looked at, I don't think Jena stopped smiling after we walked through the front door. Mark: So perfect that we put an offer on it, even though our old house wasn't even listed. Jena: We went through the whole weekend and couldn't get the house off our minds. Mark: We weren't going to lose the house over $2,000. Jena crunched the numbers, and it would add less than $50 a month to our payment. So we took the offer. Mark: We weren't getting many showings, even though it was a seller's market. We had just two people come by the first week. We were in full-blown panic mode. We were worried because we could lose the new house while we waited for our house to sell. If someone came by with a better offer for the new house during the 30 days, the seller could accept it. So we were worried. Jena: After about two and a half weeks, we finally got an offer -- a little under what we were asking, but they were buying with a VA loan, too, so we took a lower price and they paid closing costs the VA wouldn't cover. Mark: Everything had to be perfect for this to work. It seemed like an ordeal to us. Our agent said it went really smooth. He said he'd never seen a transaction line up like ours did. We wouldn't have stayed sane through it all without him telling us it would work out and telling us what we should do. What's your advice to a home buyer facing a similar situation? Mark: He became a family friend. He bought, I'm not kidding, hundreds of boxes of Girl Scout cookies from my daughter.